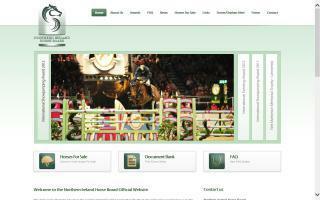 Northern Ireland Horse Directory - O Horse! The Northern Ireland Horse Board exists to promote sport horses and breeders from Northern Ireland. Offers a range of activities and 4 star accommodation on the Antrim Coast, 30 mins from Belfast City Centre. All timber products have materials & workmanship guaranteed. Stables are made from heavy duty framing - tongue & groove boards with plywood lined inside walls. Made to suit the customers needs. What is Equine Assisted Growth and Learning? It's a special session with horses - an opportunity to work with them in a different way to what you might already know or have done before. As well as the horse (or horses), there will be two people in the session with you - a person who has a lot of knowledge about horses and who watches what the horses are doing and a person who is qualified in counseling or therapy and who is interested in you and what is important to you. This kind of work is about both doing and thinking. This means that you learn about yourself by doing activities with the horses and then thinking about what happened. At Mustang-NI, we work all over Northern Ireland. We work with all client groups and accept referrals from individuals, statutory, and voluntary agencies.